Anybody else get bored of seeing the most mundane updates from the same parks over and over again? There's only so many times I can see dirt from Blackpool Pleasure Beach or what's happening with some kiddie coaster at Fantasy Island before I want to tear my hair out. 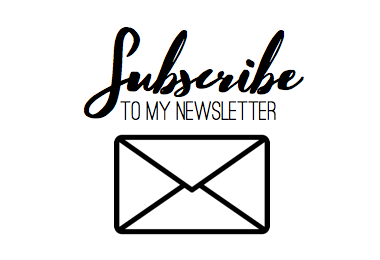 There's SO much awesome stuff happening in theme parks all over the world that just don't get as much attention as they deserve, so I thought I'd take a minute to highlight some of the best bits happening right now that you should be paying attention to. When I think of Poland I'm ashamed to say I do think of grey tower block skylines and a country still recovering from a slight communist hangover. And I've been there, and well, yh, it is that in some places, so to think of it as a central hub for awesome theme park activity is a little strange, but my GOD there's some awesome stuff happening over there! You've got the ridiculous Energylandia who are behaving a little like me when I play RCT and increase my loan to its maximum allowance. Just buy one of everything. Seriously though, take a minute and check out what this park is doing. 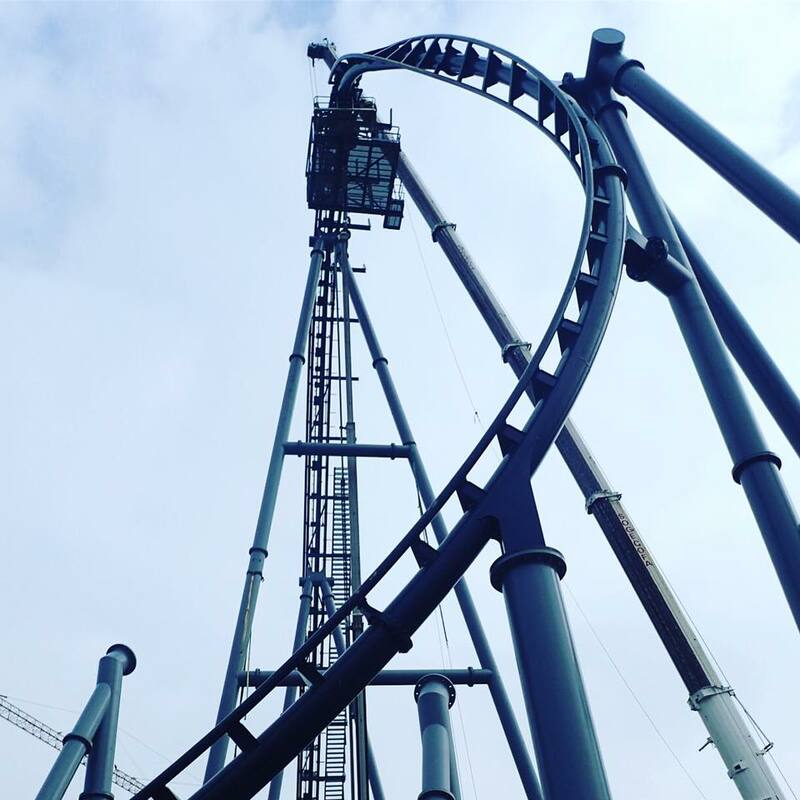 It only opened in 2014 and already has 7 operating coasters including Rollercoaster Forumla 1 - one of the new beauties to come out of the Vekoma renaissance. On top of that, the place has FOUR coasters under construction and set to open in 2017/18 including Speed, a HUGE Intamin coaster. To say they're changing the Krakow skyline is an understatement. On top of all that you've got the incredible looking Lech Coaster opening just an hour down the road at Śląskie Wesołe Miasteczko in Katowice. Poland really seem to be embracing these new Vekoma designs with open arms and are fast becoming a must-visit destination for coaster enthusiasts the world over! You may be aware of the Wanda parks. If you're like me and get bored and go scouring through RCDB for obscure B&Ms this may be where you discovered them. 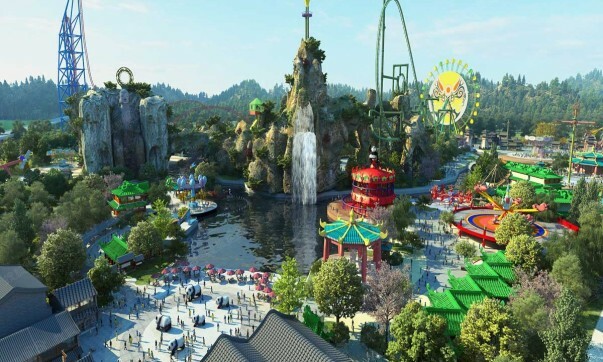 This Chinese park chain is growing rapidly, with three parks currently operating and FIVE under construction. Five. That is INSANE! And the parks aren't just full of any old crap, we're talking state of the art Intamin and B&M technology with out of this world theming. Seriously, take a look, they look unbelievable! And it's not just coasters, the parks are also home to some astounding shows and spectaculars on huge scales. If these parks were opening in Europe everyone would be having kittens but because they're in deepest darkest China nobody seems to care that they even exist, which is insane! Also, hilariously. the chain's chairman Wang Jianlin famously shaded Disney, in particular the new park in Shanghai, saying that the parks rely too much on out of date IPs and offer nothing new. Normally that'd be big talk for somebody to go up against Disney so blatantly but looking at what the parks have to offer so far, fair play to them, they're definitely quality enough to establish themselves as a rival! Again, the likes of me who have no life will have noticed a small pin on the Coast2Coaster map in the middle of Turkey whose number seems to increase with every refresh of the page. I'm speaking of course about Ankapark, a park under construction for a while now and currently boasting a coaster count of 17. Obscene. Now I'll admit, the first images that surfaced of this park and having a quick scan over their coaster line-up it does seem like somebody just flipped through some manufacturer catalogues and went 'I'll have one of those, one of those and one of those, thanks!' It's all feeling a little robotic at the moment so I'm hoping we're going to see some really epic theming in the future to give this an extra boost of excitement. But what am I saying, credit whores rejoice, +17 in one park! I know I'll be there as soon as the gates open! Now this IS one I've seen getting a little more attention, most likely because of its location smack bang in the middle of Mouse Land aka Orlando, Florida. Mine Blower is a wooden coaster built by the fabulous Gravity Group featuring an inversion. It's pretty big stuff, and again I feel like if this were on our doorstep or even at one of the bigger chain parks in the area people would be practically wetting themselves. Guys, let me clear this up for you: there's a woodie with an inversion being built on the doorstep of Disney World. THIS IS EXCITING NEWS. BE EXCITED!!! The Fun Spot parks are a strange beast though, I get that. I adore White Lightning and will always go out of my way to ride whenever I visit Orlando, but the parks can feel slightly on the 'ghetto' side of things and aren't exactly the kind of place you'd spend the whole day when you can literally see Universal out the corner of your eye. But I feel like more continuous investment in solid products like this not only offer something that the Universal and Disney parks do not (ie wooden coasters) and make the Orlando area tick even more boxes. OK, I'll admit, I'm a little ashamed that I only discovered this one when researching for this article. I love animation, I love movies and I love theme parks, how the HELL did this go under my radar? 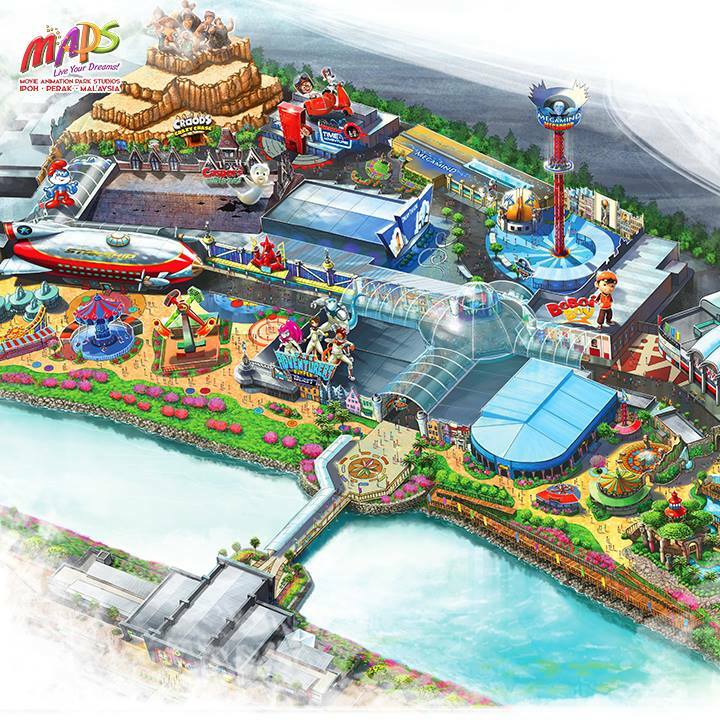 Set to open this year in Malaysia, Movie Animation Park Studios will host over 40 attractions in six themed lands, many of which look to be under cover. It's kind of strange, the park does seem to have some relationship with the Dreamworks IP but it seems to be focussing on secondary movies like The Croods and Megamind. From what I can gather not too much has been revealed about the full attraction listing, but from glancing at the map the park will include a drop tower and and inverting pirate ship as well as an enclosed coaster, a small SBF spinner and a larger Intamin coaster. Kind of funny how the park is due to open this year and still not much is known! I'll be keeping my eye on this one, they update their Facebook page fairly often so definitely one to watch! That's it for now. See, there's loads to get excited about if you look beyond your back garden. 2017 isn't the 'quiet year' everyone keeps going on about once you dig a little deeper!